Learn how to cut hair with the master of precision haircutting Stacey Broughton, former Senior Art Director of the Vidal Sassoon Academy. Stacey Broughton’s visual styling ideas played an imperative role in creating the unique Vidal Sassoon ‘look’ adopting his strong, influential role in the direction of their seasonal collections. As Senior Art Director for the Vidal Sassoon Academy he was a pioneer and an ambassador for the company and initiated the Video/DVD market in hairdressing education as an accomplished Director and Editor of the Vidal Sassoon photographic and video collections. One of the most respected educators in the industry Stacey has trained the likes of Takka, Lisa Shepperd and recent British Hairdresser of the year Akin Konzi, to name a few, as well as working on numerous television productions with Mark Hayes, Annie Humphries and Tim Hartley. 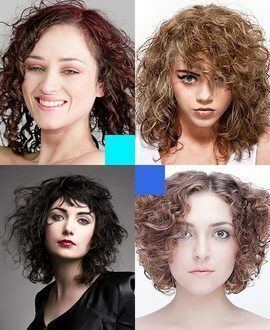 The Curls and Texture Collection is an advanced hairdressing course which teaches you five hairstyles that are ideal for clients who wish to enhance their natural curls and texture for low maintenance but fashionable looks. Featuring a range of haircuts demonstrated by Lee Stafford, Graham Oglesby, Stacey Broughton and Mazella&Palmer, this online haircutting course is perfect for experienced stylists seeking inspiration for curly and textured hair. On completion, you can download, print and share a CPD Certificate of Recognition endorsed by VTCT and ITEC. This intermediate haircutting course teaches you how to create a variety of pixie cut hairstyles of varying lengths to help you expand the repertoire of looks you can offer to your stylish shorter-haired clientele. 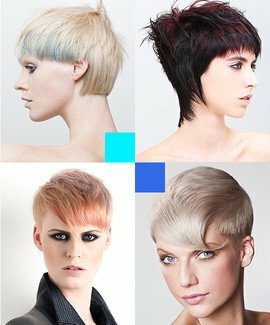 Featuring five women’s short haircuts from some of the most respected hairdressers working today, each lesson builds on the skills learned to provide structured progressive learning to give you the techniques and confidence to transfer and adapt the looks to your clientele. The instructors include former Principal of the prestigious Vidal Sassoon London Creative Academy and respected consultant and trainer Michael Cohen, celebrity hairdresser Lee Stafford, Aveda’s Artistic Director for Germany, Austria and Switzerland, Bastian Casaretto and arguably the best haircutter in the world, Stacey Broughton. On completion you can download, print and share a CPD Certificate of Recognition endorsed by VTCT and ITEC. 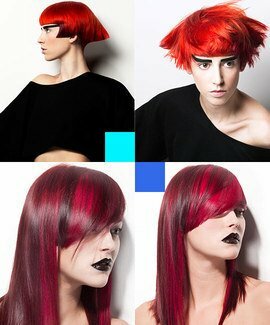 This intermediate to advanced online hairdressing course demonstrates how the cut and colour work together to achieve creative and bold statement looks, with an emphasis on strong reds and striking cuts for the more adventurous client. The course features six video tutorials from some of the most respected educators working in British hairdressing today including Tim Hartley, Tracy Hayes, Stacey Broughton, Charmaine Piche and Christiano Lanza. On completion you can download, print and share a CPD Certificate of Recognition endorsed by VTCT and ITEC. Using a training head, this hairdressing course takes you through the fundamentals of cutting hair and is perfect for assistants those beginning their apprenticeships in hairdressing. Each lesson progresses and builds your skills, while teaching perfect technique to give you a perfect foundation for your hairdressing career as well as haircuts you can use every day in the salon. Stacey Broughton is the former Senior Art Director of Vidal Sassoon and is widely recognized as one of the greatest hair cutters working today. Tracey Hughes has won Australian Educator of the Year four times, and the Excellence in Education award four times. She also counts Australian Hairdressing awards for Hairdresser of the Year, Colourist of the Year, Salon of the Year and the Honoree Australian Masters. On completion you can download, print and share a CPD Certificate of Recognition endorsed by VTCT and ITEC. In this beginners’ hairdressing course, you will learn about consultation for dressing services as well as a variety of blow drying techniques taking into consideration control of direction, tension, heat control, brush choice and cooling; as well as options for a bespoke finish such as root lift and beveling. This collection introduces you to the skills required to begin your hairdressing career or to refresh your skills if returning to work. On completion you can download, print and share a CPD Certificate of Recognition endorsed by VTCT and ITEC. 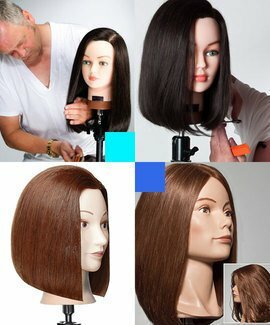 The bob haircut is cultural icon dating back in its modern form to the 1920s and 30s and constantly revived and reinvented by successive generations. 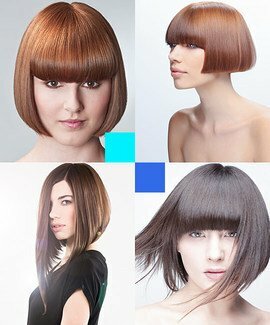 In this online hairdressing course Stacey Broughton and Tracey Hughes present five bob hairstyles incorporating the shape in just a few of its many potential incarnations. Each lesson presents a different interpretation, suitable for different hair types and lengths, face shapes and clients’ style and suitability. Stacey Broughton is the former Senior Art Director of Vidal Sassoon and is widely recognized as one of the greatest hair cutters working today. Tracey Hughes has won Australian Educator of the Year four times, and the Excellence in Education award four times. She also counts Australian Hairdressing awards for Hairdresser of the Year, Colourist of the Year, Salon of the Year and the Honoree Australian Masters. On completion you can download, print and share a CPD Certificate of Recognition endorsed by VTCT and ITEC. 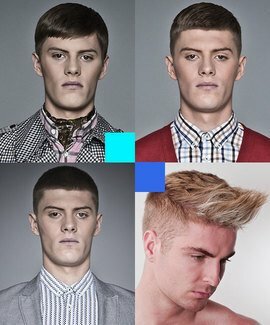 This online barbering course from Dale Ted Watkins and Stacey Broughton is the perfect introduction to cutting men’s hair, featuring a range of classic short back and sides haircuts using a variety of barbering techniques including clipper cutting, scissor over comb techniques and clipper over comb techniques. This course is perfect for beginners starting out in the industry after college and for more experienced hairdressers wishing to expand their services and build a male clientele. On completion you can download, print and share a CPD Certificate of Recognition endorsed by VTCT and ITEC. Stacey Broughton teaches a basic hairdressing course on a hairdressing training head covering two fundamental techniques that all hairdressers must master – layering and graduation. 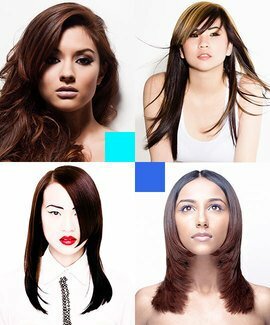 Layers gives the illusion of length and volume, while graduation adds bulk and weight to the hair. These two techniques are at the heart of every haircut and Stacey clearly explains how and when they should be used, with each lesson building on the previous to give you full understanding. On completion you can download, print and share a CPD Certificate of Recognition endorsed by VTCT and ITEC. The Long and Layered Collection builds on your skills to provide perfect salon friendly and commercial layered haircuts for long hair. Featuring long hairstyles demonstrated by Aveda’s Bastian Casaretto, former Vidal Sassoon educators Graham Oglesby and Stacey Broughton and Australian legend Tracey Hughes, this online hairdressing course is perfect for busy stylists looking to provide their clients with wearable and manageable long hair. On completion you can download, print and share a CPD Certificate of Recognition endorsed by VTCT and ITEC. 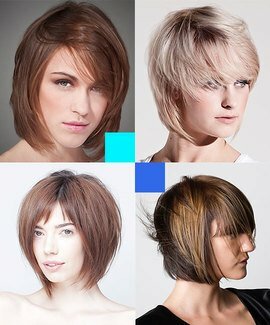 This collection teaches you how to create a variety of layered bob techniques that broaden your hairdressing skills. You will learn how to adapt the type of layered bob you provide your clientele, based on requirements and hair characteristics. This collection features five lessons from internationally acclaimed hairdressers including Britain’s Stacey Broughton and Michael Cohen, Germany’s Bastian Casaretto, and Manfred Knoll from the Netherlands. On completion you can download, print and share a CPD Certificate of Recognition endorsed by VTCT and ITEC. 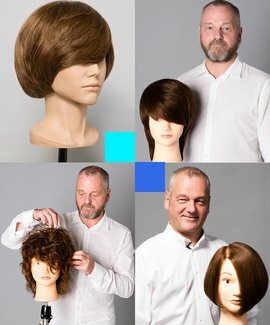 This advanced hair cutting course teaches you how to create a variety of pixie haircuts for a discerning, modern clientele. 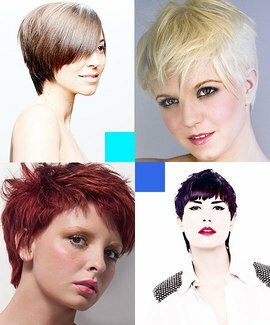 You will expand your creative short hair cutting skills, whilst developing your understanding of discipline, shape and movement. The Creative Pixie Cuts Collection features five hairdressing lessons from some of Europe’s best hairdressers, including Stacey Broughton, Alexander Dinter, Bastian Casaretto and Graham Oglesby. On completion you can download, print and share a CPD Certificate of Recognition endorsed by VTCT and ITEC.